Walk the Plank! We will get you to the PIRATE Summit! 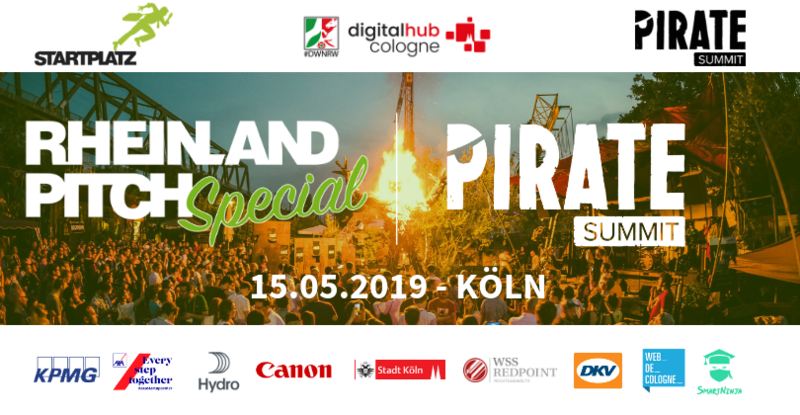 In cooperation with PIRATEx and Digital Hub Cologne we proudly present you our first Rheinland-Pitch PIRATE Special on May, 15th. At an unique cologne based location we give you the chance to pitch your startup in front of potential customers, investors, corporates and win a wildcard for the exclusive pitch competition of the PIRATE Summit (26-28 JUNE 2019 COLOGNE). At the PIRATE Summit 1,000+ handpicked participants from more than 60 countries await you. As participant of the Walk the Plank pitch competition, you present your startup in front of investors from all over Europe. Are you a founder of an early stage startup with a tech-focus? Is your team based in or around cologne? Is your product already in beta phase? Then apply right now for our Rheinland-Pitch PIRATE Special! Enter the sum of 1 + 4	below to prove you are a human.